The official Government and Legal notices for today [Jan 21] include Cancellation of Registration, Acting Appointments, PATI Contracts valued $50,000 or more, PATI Notice and Notice of Intended Marriage. 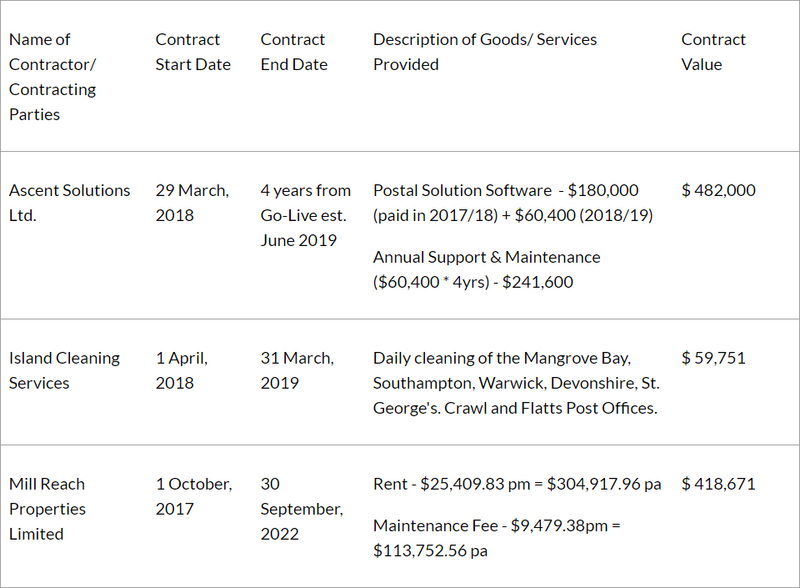 Contracts Valued $50,000 or More] the Bermuda Post Office Notice 2019. This Notice may be cited as the Public Access to Information [Information Statement] The Bermuda Post Office Notice 2019.
and shall come into operation on 11 January 2019. Statement- Contracts Valued $50,000 or More] Department of Court Services Notice 2016. His Excellency The Governor, after consultation with the Chief Justice, has approved the appointment of Mr. Peter Miller, Barrister & Attorney, to act as Registrar for the period 17th – 25th January 2019. Cambridge International Insurance Company Ltd.
St. James Insurance Company Ltd. The Bermuda Monetary Authority in exercise of the powers conferred upon it by virtue of Section 41[a] of the Insurance Act, 1978, [“the Act”], hereby cancels, at the request of the Insurer listed below, the Class 3A Insurer registration granted to the said Insurer under the Act, effective 28th December 2018.